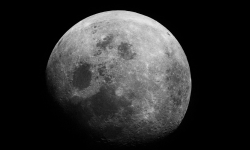 The possibility of colonizing the Moon is studied in detail by NASA, ESA and CNSA, and also Roscosmos. Many private companies also have this goal, like Blue Origin, SpaceX, Moon Express and many other companies. Space agencies and private companies are working to bring men or freighters to the Moon as quickly as possible. The 2020 decade should be devoted to robotic exploration. Human exploration could start in the late 2020s or early 2030s. The first and last human adventure on the surface of the Moon is now half a century old. This resulted in short stays of a few days maximum. But this time, NASA and other space agencies seem to want to go to the Moon to stay there. Concretely, we talk about a permanent or semi-permanent base on the Moon, like an international space station but on the surface of the Moon. This is the positioning of Europe with the Moon Village project. But building a Moon base faces many challenges. The Moon is not the most welcoming place in the solar system. We still need to find a solution to face many challenges : radiation, dust, micro-meteorites, temperatures, energy, oxygen, water, food or even isolation. The International Space Station is preparing to tackle some of these challenges. But it will be quite different on the Moon. The remoteness of the Earth makes supply missions more expensive. On the other hand, we can find on the spot many resources which could be exploited directly by the inhabitants of a Moon base. The European Space Agency is particularly active in research related to these problems. At best, a first Moon base will be created in the early 2030s. But that does not mean that we can not already solve some of the challenges identified. On Earth, ESA is currently creating a simulation center. Its surface will be 1000 square meters, completely covered with a material imitating the lunar regolith and a habitat called Flex Hab. The goal is to be able to test the technologies and processes that human explorers can use on the Moon. Where to install a Moon base ? What to study first when talking about a Moon base is the place to install it. The equatorial region is the easiest of access, moon landing and takeoff. On the visible side of the Moon, the lunar base would allow for uninterrupted communications with the Earth. Lunar nights are however very long, 14 days. The polar regions are more and more interesting. It is more difficult to land on a pole of the Moon but there is water ice and reliefs that remain illuminated 80% or 90% of the time, which is ideal for solar panels. The South Pole region is currently the area that seems most interesting. We can imagine that installing a Moon base at the South Pole would be a good idea. However, there are still many decisions to make : should we install the Moon base on the surface or dig deep ? We know that the Moon has many lava tubes. These are natural tunnels that provide effective protection against radiation, meteorites and extreme temperatures. But lava tubes have to be located near the interesting resources. Perhaps it would be more simple to build the Moon base in a crater and then cover it with regolith. This solution would bring a lot of benefits. The lower levels of such a Moon base would be located under several tens of meters of material, safe from any threat. The lunar craters are so numerous that they can be found at the same time near a deposit of water ice and a peak of eternal light. Using the lunar regolith to do radiation shielding is a very simple first example of using local resources. Thanks to this, it is not necessary to print structures in 3D or to use a complex process. A simple backhoe can do this job. It is thus possible to use light inflatable modules to build the lunar base and thus reduce the logistic footprint of the Moon base. This solution solves the problem of radiation, meteorites and provides thermal insulation. By colonizing in this way several adjacent craters, we could build a real village. The final choice of the location of the Moon base will probably be conditioned by the discovery of a large ice-water deposit. For a Moon base, water will be the most important local resource because it is necessary to drink but also because we can extract rocket propellants by electrolysis. Electrolysis is a process that separates water into dioxygen and dihydrogen. Thanks to an electric current, this process can also be a way of storing energy during long lunar nights. Dihydrogen and oxygen can indeed be used in a fuel cell. Water becomes a way to hydrate, to power rockets and to conserve energy produced by solar panels. The problem is that water ice is located at the bottom of craters that daylight never reaches. Extraction of water ice could be very complicated. The easiest way to do this would probably be to redirect sunlight to the bottom of these craters using mirrors. The water vapor produced would then be transported to the electrolysis cells. In any case, the extraction of water ice will be one of the most important challenges of a Moon base. It will not be easy to get industrial machinery down the steep slopes in complete darkness. By using fuel cells, solar energy can be used in two ways. Photovoltaic panels exposed to eternal light spikes would power the Moon base with electricity and provide the energy needed to trigger the electrolysis process. The sun’s heat could also be used for many other applications. It could be used to extract water ice and cook the lunar regolith in solar ovens. There is a lot of oxygen in the regolith, in the form of a metal oxide. From 900 degrees Celcius, we can break the chemical bonds that unite these molecules to capture extra oxygen and iron, aluminum or magnesium. These are useful resources for a Moon base, even though this process is much more energy intensive than the melting of water ice. From 1100 degrees Celsius, it becomes possible to melt the lunar regolith. We can then give it the desired shape to manufacture for example bricks. The obtained material has a similar resistance to plaster and can therefore be used for construction. Some specific shapes such as arches and domes would be particularly suitable for this type of material. Thanks to these different techniques, a Moon base could be independent in terms of energy, water and the production of propellants and oxygen. It could even build new structures on the Moon without needing much supply from the planet Earth. It is a level of independence superior to that of the International Space Station. How will the inhabitants of the Moon base feed ? We can also try to grow on the Moon part of the food consumed by the inhabitants of the Moon base. With water and electricity, there is everything we need to grow edible plants and vegetables. This experiment has already been successfully completed aboard the International Space Station. Several species of plants seem particularly interesting. Vitamin C1, vitamin K and potassium are essential for the body but degrade very quickly. To absorb enough, you must consume fresh products. On the Moon, astronauts will only have cans and freeze-dried dishes. Kale cultivation could solve this type of problem because it is very rich in vitamin and easy to grow in small spaces. Potato is another interesting element thanks to its caloric intake. In addition, such a plant mass would recycle some of the CO2 generated by the breathing of the inhabitants of the Moon base. The biosphere experiment carried out by the Chinese mission Chang’e 4 was interesting to observe the cultivation of plants. But we do not know yet if it is possible to make an adequate soil thanks to the lunar regolith. Some of the nutrients needed by plants should probably come from Earth. There are many ways to get around the difficulties of living on the Moon. Dozens of Moon base concepts have been considered. NASA has made estimates for more than twenty different ways to extract oxygen from the lunar regolith. To create a permanent inhabited Moon base is possible if humanity wants to. From a scientific point of view the Moon certainly deserves some expeditions. We can imagine Moon bases similar to Antarctic bases that welcome carefully selected experts for long or short periods. A more massive installation would require the presence on the spot of private companies and the creation of a real economy centered on lunar resources. The reconnaissance work carried out by the Chinese, Indian, European, Russian or American missions goes in this direction. The lunar probe Lunar Reconnaissance Orbiter (LRO), launched by NASA in 2009, made an interesting discovery : the moon has hundreds of natural cavities formed by lava tubes. Some of these cavities could be up to 900 meters in diameter and 50 kilometers long. Some think that these cavities could welcome a base on the Moon. Indeed, the conditions on the surface of the Moon are not very welcoming : no atmosphere, no magnetic field, extreme temperatures, micro-meteorites and radiation … At the time of the Apollo program, nobody spent more than three days on the Moon. The lava tubes, whose existence has just been confirmed, could therefore offer a protection to a permanent human presence on the Moon. The lava tubes are formed when a lava flow created tunnels whose walls have hardened at high temperatures, creating hollow tubes. This phenomenon is known on Earth but the lava tubes present on the Moon seem much larger than those of our planet. Lava tubes solve the problem of radiation and micro-meteorites for explorers. The temperature in the lava tubes would be constant, from -30 degrees to -40 degrees, while on the moon’s surface temperatures range from -175 degrees to 125 degrees depending on whether it is day or night. It would thus be possible to install inflatable modules to create shelters in these lava tubes, thus providing spaces of several square kilometers to welcome humans. These spaces would have the advantage of allowing the occupants of the lunar base to live in a non-artificial space. In addition, the Moon is probably not completely dry : if we are able to find or exploit lunar water sources then it would be very interesting to consider a colonization of the Moon, which could precede the colonization of Mars or Venus. Indeed, the Moon offers real industrial perspectives : on the one hand the Moon has large reserves of titanium and helium 3, and on the other hand the Moon is close to the Earth. 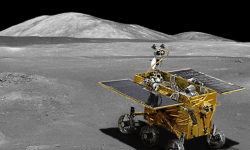 If the Lunar Orbital Platform-Gateway materializes as well as the lunar ambitions of China, a human exploration of one of these lava tubes will probably take place, and perhaps even the installation of a base on the Moon.